This fun and easy recipe is a Christmas tradition. 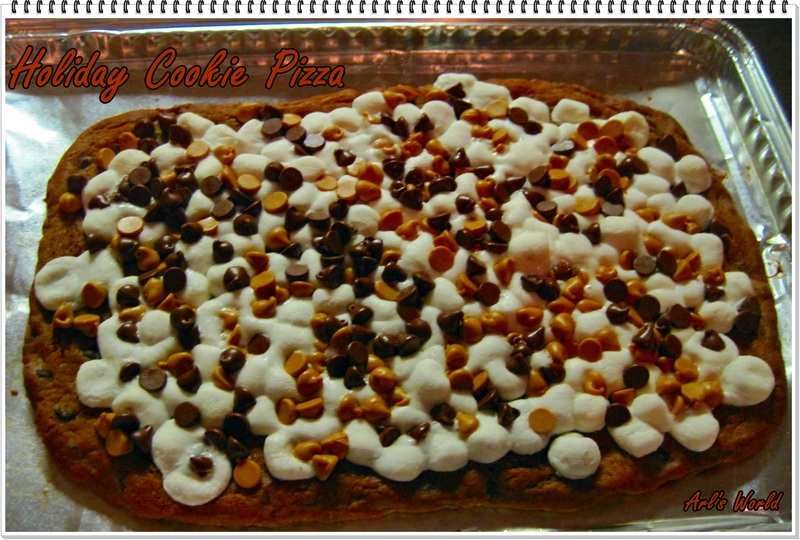 Loaded with lots of goodies that the kids love, we enjoy making this yummy cookie pizza every year, on Christmas Eve. It also is a favorite for Thanksgiving, parties, sleep-overs and even for a rainy day. Just anytime is fun time! 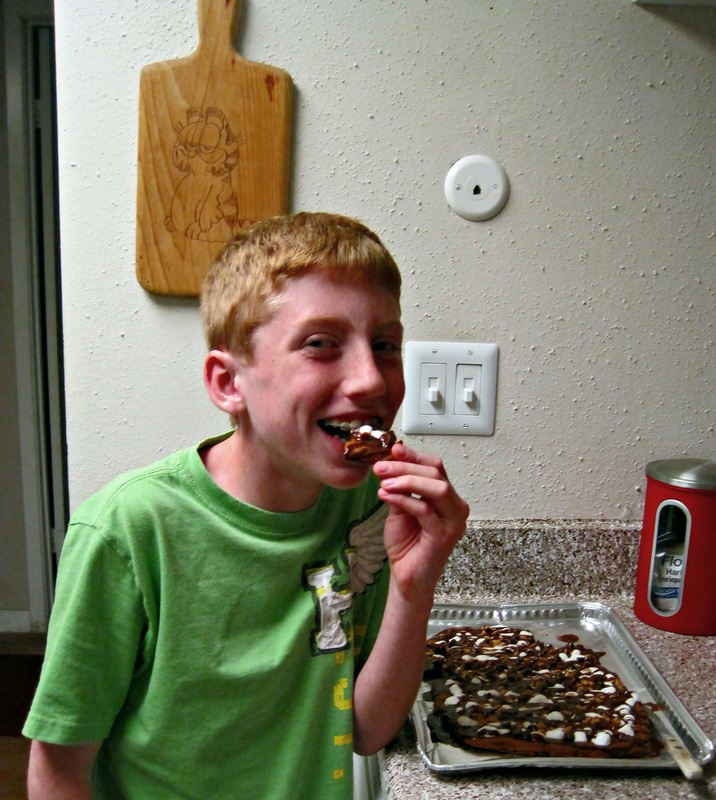 Kids love choosing the ingredients to decorate their own cookie pizza. You can’t go wrong with this one! You can make this one with your own chocolate chip cookie recipe or use a store-bought version. I used a roll of Pillsbury refrigerated cookie dough to make it easier for the kids to take part. Decorate it however you want! I think next time we will make sure to have some colorful M & M’s on hand as well. We had fun making and eating this! I hope your family will enjoy it as well. 1/4 cup chocolate creamy ready-to -spread frosting, if desired. 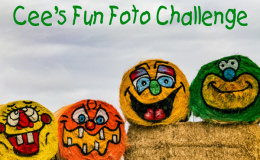 You can also use M & M’s, Hershey Kisses or any candy you prefer. Heat oven to 350 degrees F. Grease cookie sheet or line 12-inch pizza pan with foil; grease foil with shortening. Cut cookie dough into 1/4 inch slices; arrange evenly in pan. With floured fingers, press slices to form crust. Bake 15 minutes or until deep golden brown. Immediately sprinkle marshmallows evenly over warm base. Bake 1 to 2 minutes longer or until marshmallows just begin to puff. Sprinkle with chocolate chips, peanut butter chips and bake for 1 to 2 minutes longer. Use foil to lift crust from pan. Carefully remove foil from crust; place crust on serving platter or tray. In small microwavable bowl, heat frosting uncovered on high 10 to 15 seconds or until thin enough to drizzle. Drizzle frosting over cookie pizza. Cut into wedges or squares. I can smell it from London!! Thank you Emma! Wishing you a wonderful holiday season!! Thank you Andy!! Happy Holidays to you!! This looks delicious! Your taste tester thinks so!